I'm not sure we need yet another zombie movie, but it looks like this latest installment in the genre wears its extremely low budget nature as a badge of honor, for better or worse. Another week, another zombie-related item hits a store�s shelves, premieres on TV, or opens at a local multiplex. It seems like only yesterday when all we had to talk about, zombie-wise was how great the original Dawn of the Dead is, and how the original Night of the Living Dead started it all. Now, the genre is as undead as its subject matter, with TV shows like The Walking Dead breaking ratings records (on cable, no less), and the list of available zombie movies on home video and in theaters in a given week, growing exponentially. 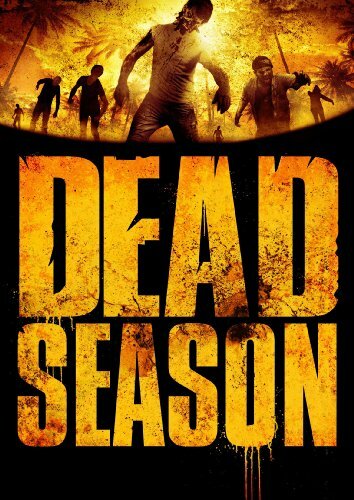 There�s even room in super-low-budget, direct-to-DVD land for the brain-starved, as evidenced by Image Entertainment�s new release of Dead Season. Unfortunately, this amateurish (on most, if not all levels) flick, is far too forgettable, and will only leave die-hard undead fans going back to the �Romero Well� over and over again, rather than granting it a second glance, let alone a repeat viewing. The plot is as formulaic and clich�d as it gets, focusing on a small group of zombie plague survivors that wind up on a seemingly safe island. It gets worse, as this group consists of characters that are hardly memorable or easy to forget, and they�re portrayed by actors who seemingly were hired the minute they left rehearsal at their local community theater. Director Adam Deyoe is far from a seasoned veteran behind the camera, and I�d be shocked if producers were knocking down his door after enduring Dead Season. Ok, there�s maybe a handful of worthwhile stuff here, including some pretty brutal, heart-tugging stuff near the 15-minute mark. This was so shocking and sad, that I actually had a bit of hope for the remaining 70+ minutes of Dead Season. It didn�t take long before those faint hopes were dashed, and we�re back to simply waiting and wanting for the end credits to roll. Image Entertainment�s DVD includes an anamorphic widescreen 1.78:1 presentation that has difficulty handling contrast and black levels, but do feature nicely detailed images throughout. The Dolby Digital 5.1 mix shows a decent amount of surround usage and directional effects, but this is nothing spectacular, despite clear dialogue throughout. The extras include a quick making-of piece that�s nothing but on-location footage, 15-minutes of deleted scenes, including an alternate sequence, a collection of amusing outtakes, and the film�s trailer. There�s also an audio commentary track with director Adam Deyoe, producer/editor Loren Semmens, actor Scott Peat, and director of photography Jeffrey Peters. This is an informative piece that drags at times, but, ultimately should be appealing to those that latch on to this zombie flick.